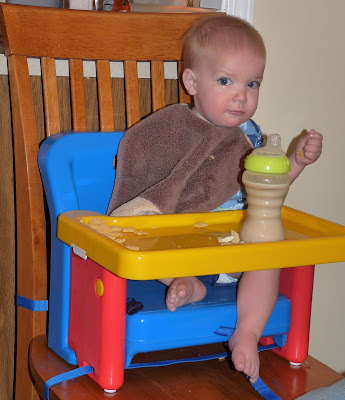 The chair where he discovered Chocolate Milk. I've never seen him drink so much milk in one sitting. This cat napped in my parents front yard every single day. It's the neighbors cat--apparently our yard is better for napping. Watching it from a safe distance. Coming out for a better look--he does like it, just giggle and squeals away when we try to get him to pet anything furry. he's pointing to my nose. he likes noses. I love the pic with him in facing the window on the plane - such a cool pic!